Allure Cosmetic of Beverly Hills was founded on a commitment to help our clients look and feel their best. We combine expert medical staff, results-oriented services and excellent customer care, because we take your skin care and body image seriously. Allure Cosmetic is Physician owned and operated and staffed with Physician Assistants, Nurse Practitioners and Registered Nurses. Our goal is to ensure patients receive unsurpassed personalized treatment throughout entire procedures. All patients will meet with Physicians or Physician Assistants, or Nurse Practitioners for their first session, and thereafter, remain in the care of Licensed CA professionals and clinicians. 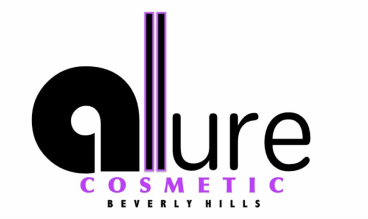 Allure Cosmetic of Beverly Hills is the leading provider of Anti-aging treatments such as Platelet Rich Plasma Facials (PRP), Botox & Dermal Filler Injectables, Laser Skin Rejuvenation - such as Photofacials, Acne and Acne Scar Treatments, Wrinkle Reduction, Skin Tightening and Body Contouring and Cellulite Treatments. We also offer Aesthetic services such as Microdermabrasion, Chemical Peels, and Medical Grade Retail Skin Care Products. We provide treatment with state of the art technology and FDA approved Lasers.